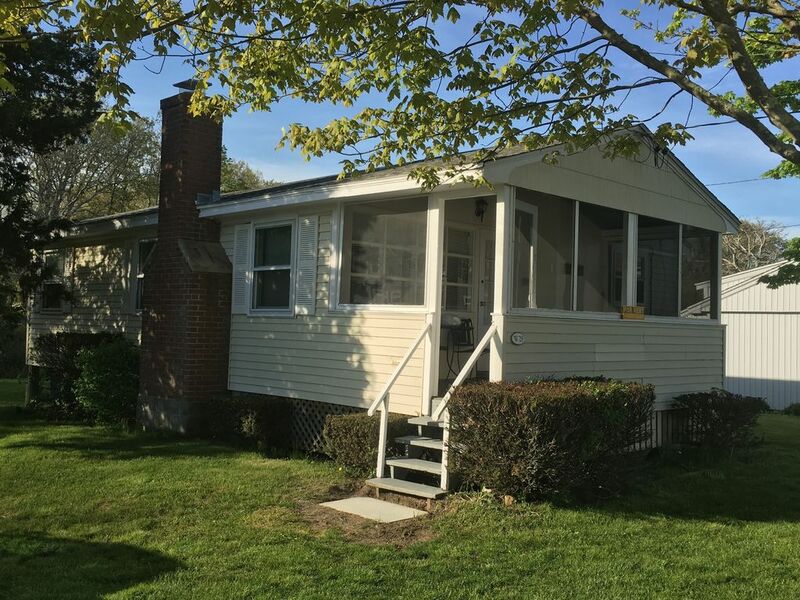 3 bedroom, 1 bath cottage with view of Long Island Sound. Screened front porch for relaxing and enjoying the views. Spacious yard for outdoor entertaining. Short walk to beach access, two tennis courts (first come, first served basis) and horseshoe pit. Visit the local general store for beachwear, gifts/souvenirs and get a weekly schedule of kid activities. Wi-Fi, cable TV and DVD player available. Equipped with cooking utensils, bowls, plates, glasses, pots, pans. *All linens and towels must be provided by the renter. Ocean view and short walk to beach and Garvin's General Store. Approximately a 1 mile walk to Sound View (carousel, ice cream, souvenir shop, public beach, restaurant & bars, famous donuts and Italian ice). Nearby restaurants, golf, mini golf, kayaking, jet ski boat rentals. Just a short ride to Big Y grocery store. Area attractions like Clinton and Westbrook Outlets, Essex Steam Train & Riverboat, Gillette Castle and Goodspeed Opera House. 20 Minute drive to either Mystic Seaport and Aquarium or Mohegan Sun Casino. 40 Minute drive to Foxwoods Resort and Casino. Some of the above are seasonal, please check hours of operation with venue.